Dimensions: 9.5" X 9.5" X 15.25"
When you're living in a dorm room, there's two possible dorm room options - either you'll live with a roommate and use the community dorm bathroom, or you'll have a suite style dorm room with your own dorm bathroom. If you have your own dorm bathroom, there's going to be even more dorm essentials to add to your dorm college dorm checklist. You're going to need a dorm shower curtain and dorm shower curtain hooks, of course, but you're also going to need dorm organizers for your dorm bathroom accessories. 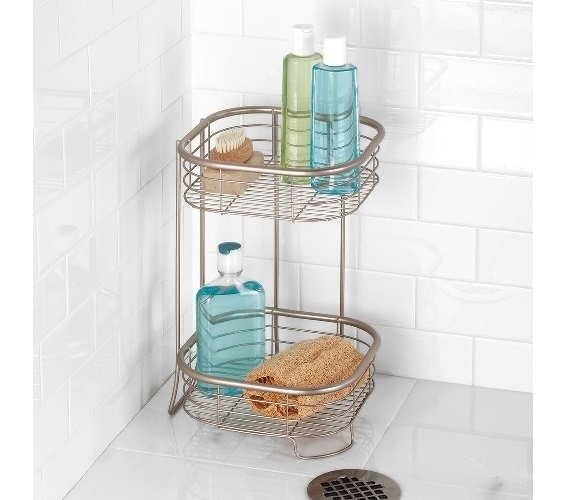 You and your dorm roommates don't have to have a bunch of dorm caddies around - add our 2 Tier Shower Shelf Square to your college supplies! This handy dorm essential can be used inside or outside of your dorm shower so you can keep your shampoo, conditioner and body wash bottles organized in your dorm shower or you can keep dorm towels and other dorm bathroom accessories organized outside your dorm shower. There's nothing worse than having a heavy shampoo bottle fall on your feet - you don't want to start your morning that way! 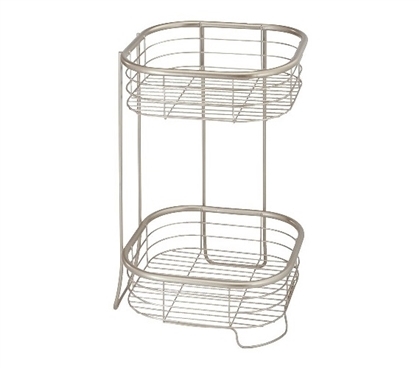 Keep your feet injury free with our 2 Tier Shower Shelf Square as part of your dorm essentials! This dorm necessity is made of durable steel and even has a rust resistant coating so you don't have to worry about it rusting in your dorm shower!